You can see many old buildings when walking through the Iriya/Shitaya neighbourhood. In one of these buildings, the Iriya Plus Cafe opened shop in 2008. When I say old, I mean in this case 50 years old. What makes this place attractive for Japanese is the traditional living space using a lot of wood, nooks and small glass windows. 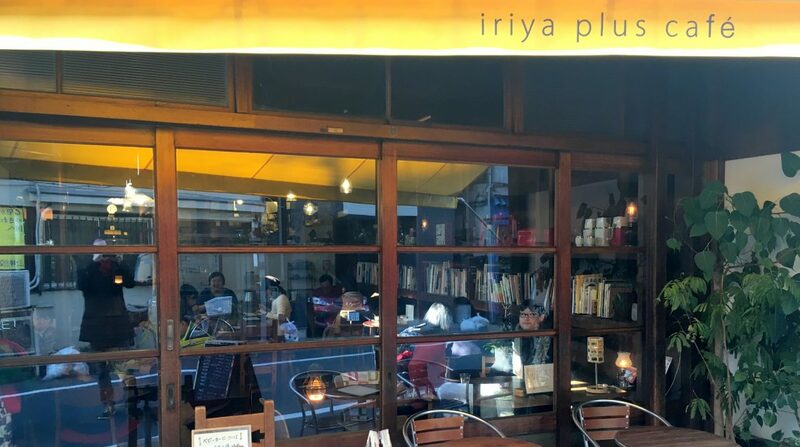 As I have seen before in Hagiso cafe and Kayaba cafe, there is a movement in Tokyo that seeks to revalue some of these slightly older buildings, in order that they can be serve a purpose for the local community through opening a cafe in them. While most Japanese completely adore anything new, they do adore even more the traditional ryokan as their number one relaxing space. These ryokan are closely followed by this building style during the Taisho (1912-1926) and Showa (1926-1989) periods, with the wooden interiors that were popular 50 years ago and over. While in newer places this kind of architecture is also used, somehow the whole “feel” of these older buildings strikes a special chord. This cafe is actually rather plain. It consists of a large hall in front, with a couple of seats available at the elevated second part of the building at the back, where also the kitchen is located. 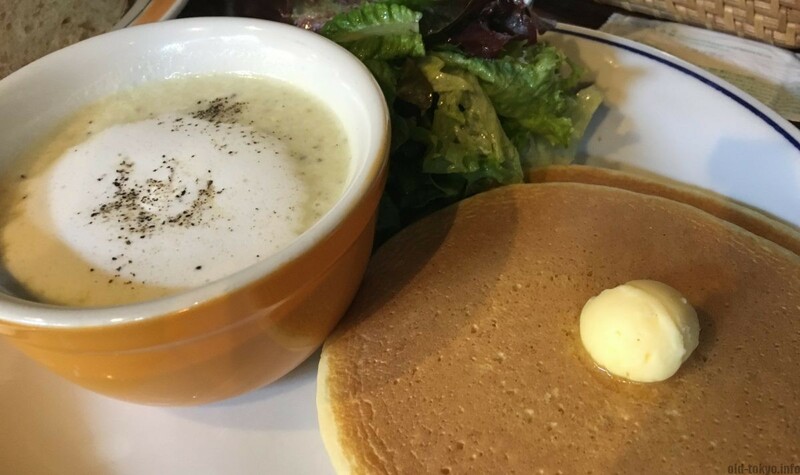 Iriya Plus Cafe specializes in pancakes, pancakes as dessert for your afternoon tea, or as replacement for bread during lunch (please note: also for lunch it is the same type of sweet American style pancake). Their concept proved to be popular and they opened a second cafe in Tawaramachi (near Asakusa). Pancakes and soup for lunch. Opening hours: Tue-Fri 11:30-20:00, Sat 11:00-20:00, Sunday and holidays 11:00-19:00. Closed on Mondays. Why visit? A Japanese living space turned cafe. They have a rather nice (albeit small) terrace on a non-busy street, great for summer.